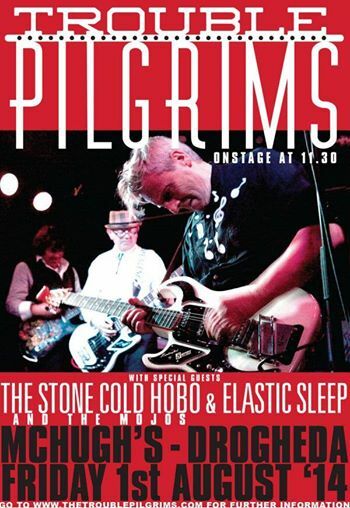 Tickets will be available on the door for tonight's show. The Ticketmaster website doesn't issue tickets on the day of the gig!!! 19 April marks the first anniversary of the death of Levon Helm, drummer and vocalist with the legendary Americana act, The Band. Levon’s work with the seminal outfit includes the classic albums Music From Big Pink, The Band and the era-defining long-player and concert film The Last Waltz. In addition, hehad a successful solo career; his last three solo albums Dirt Farmer, Electric Dirt and Ramble At The Ryman were all Grammy Award winners. The anniversary will be marked with a tribute concert featuring some of Ireland’s foremost musicians. The Walls, Republic Of Loose, The Mighty Stef, The Lost Brothers, Gavin Glass, Valerie Francis, Graham Hopkins and Joe Doyle from The Frames, The Group (Last Waltz Tribute Act), The Trouble Pilgrims (feat members of The Radiators From Space), Pete Cummins, Ben Prevo and more will perform music from all stages of Levon’s career, from early act The Hawks (with Ronnie Hawkins) through to his final solo output. After the live entertainment DJs will play a selection of songs by Levon, The Band and friends late into the night. 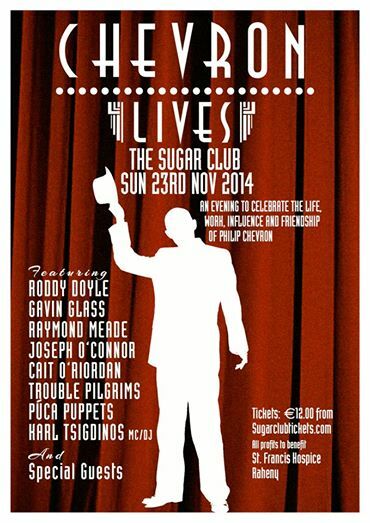 The Sugar Club will play host to this special event, which is not to be missed. A super night and some cracking Rock’n'Roll performances at McKenna’s Bar, Monaghan, Ireland. 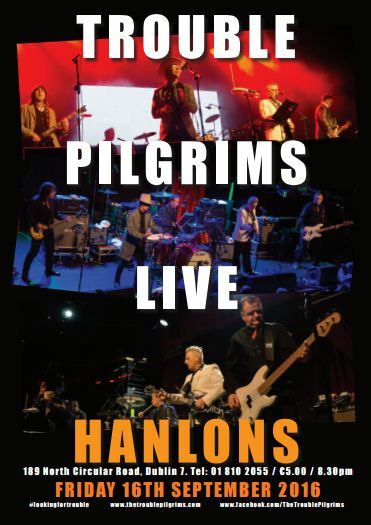 This gig had it all and featured performances by Paddy Goodwin & The Holy Ghosts together with Horslips Stars Johnny Fean, Barry Devlin & Jim Lockhart and a “take no prisoners” set set delivered by The Trouble Pilgrims. It’s the weekend before Christmas and Dublin city centre is in the party mood, revelers in festive garb merrily make their way along the streets. Indoors, Horslips have embraced the festive season and gig goers heading to their Olympia Theatre show are treated to a little Christmas card and Santa hat as they enter the venue. 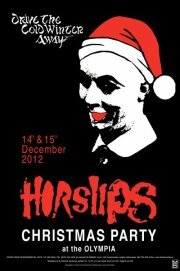 This small gesture sets the good natured vibe for the night as the Horslips ‘Drive the Cold Winter Away’. 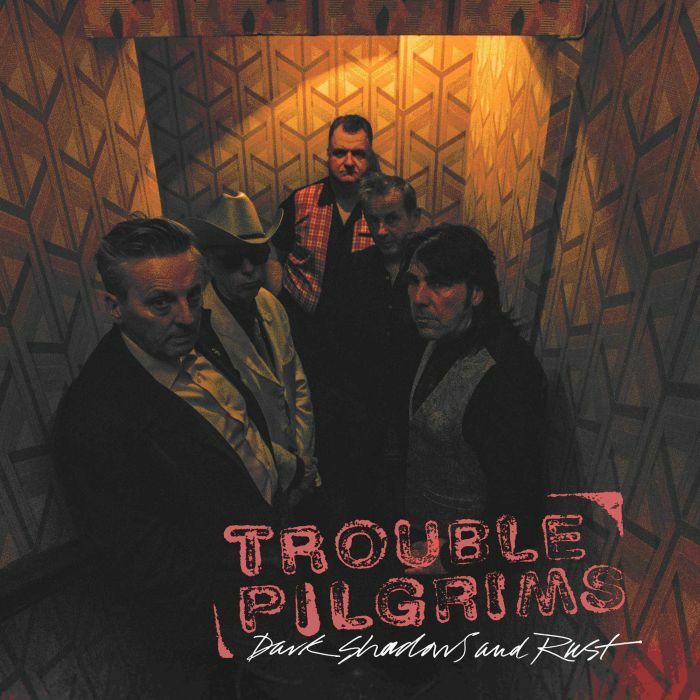 When the music kicks off, it does so thanks to ‘Trouble Pilgrims’, (The Radiators from Space minus Phil Chevron). Fronted by Pete Holidai, who playfully introduces the band with a pun on a Horslips song, ‘Yes, that’s trouble with a capital T’. It doesn’t take long for the seated audience to warm to the band. Holidai looks every inch the rock star and his vibrant red jacket makes him stand out on stage. As the band play ‘Second Avenue’, the manner and urgency with which they deliver their material shows that this is a band, despite their years together, still enjoy making music. They’re not presumptuous either, expecting everyone to know their material, introducing each song and making both long term and new fans feel at home. It can sometimes be hard to gauge a reaction to an act in a seated venue but the band are obviously feeling the good will from the audience as Holidai says ‘Don’t ye wish they took the seats out now’. 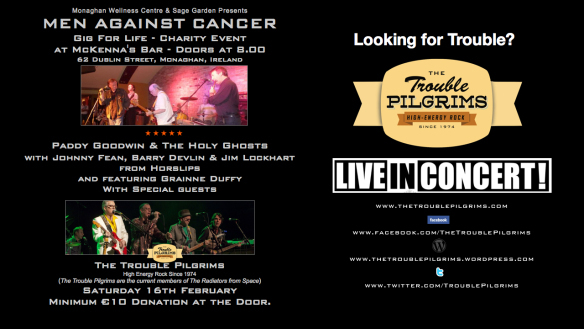 Trouble Pilgrims mix it up onstage with Holidai and Steve Rapid swapping lead vocalist roles. The five piece are joined by Charles O’Connor’s daughter. Aphra for ‘Kitty Rickitts’ and her vocals work beautifully. There’s a happy dischord in this track, making you feel slightly ill at ease while with the help of a theramin is exactly as it should be, perfect. The set seems to rise all the time, with tracks like ‘Sunday World’ followed by ‘Enemies’ proving The Radiators from Space to be one of Ireland’s greatest ever bands. A cover of ‘Them’s Gloria gets the crowd going even more before the band finish their set with ‘the first punk single ever in the Irish charts’. The band are so personable, it’s hard not to like them as Steve says ‘If you don’t believe us you can look it up on the internet’. The uptempo ‘Television Screen’ does exactly want every band wants, leaves the audience wanting much more. Very enjoyable set.